KIEV (Sputnik) - Ukraine can avoid default on debt obligations in 2019 only if continues cooperation with the International Monetary Fund (IMF), the country's Finance Ministry said in a statement on Tuesday. "Only if we continue cooperation with the IMF, Ukraine can avoid a default on debt obligations. Next year we should send more than 400 billion hryvnias [$14.39 billion] for servicing and paying off the debt. If Ukraine leaves the IMF program, the country will lose access to the financial resources of international organizations and institutional investors, and a default will turn from a phantom threat into a real prospect next year," the statement said. The ministry noted that Ukraine should give high priority to fiscal sustainability and continued cooperation with international partners and creditors, in particular with the IMF, whose technical mission is now in Ukraine. It recalled that the IMF had approved a new stand-by program for Ukraine at the working level, and the prerequisite for the further approval of the program by the IMF board is fulfillment of Kiev's fiscal and budget obligations. 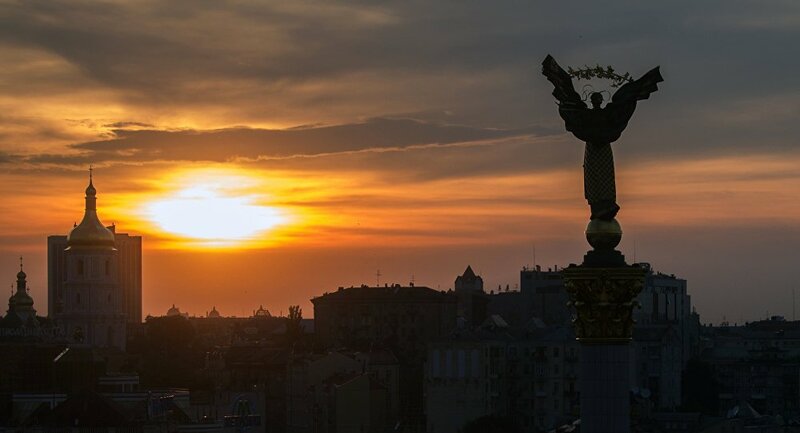 "Therefore, Ukraine should refrain from steps that will lead to a significant reduction in revenues or an increase in budget spending," the ministry concluded. On October 19, Ukrainian Prime Minister Volodymyr Groysman reported that Kiev and the IMF had agreed on a new program, which would be launched in 2019. The IMF confirmed that it has reached an agreement with the government of Ukraine on a new $3.9 billion loan for 14 months. It also announced intention to approve a new program for Ukraine this year following the adoption of the country's state budget for 2019.